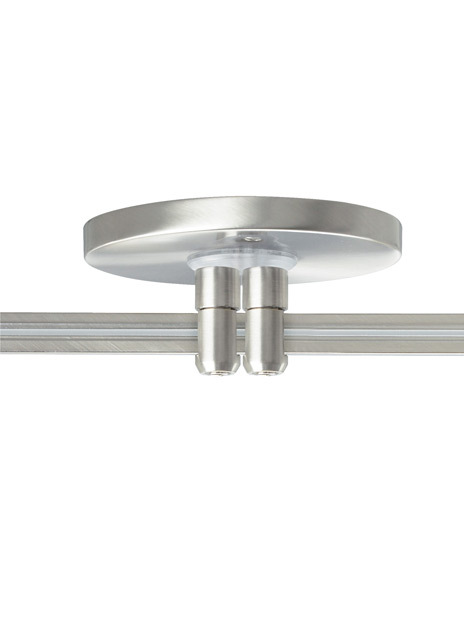 The MonoRail Low-Profile Power Feed Canopy allows for the closest-to-ceiling possible mounting of a MonoRail run. It brings power directly above a MonoRail run from a remote transformer (sold separately). The low-voltage leads from the remote transformer are connected to the canopy leads inside the junction box. Compatible with MonoRail 1" Rigid Standoff. Not compatible with Power Extenders nor Power Vault Adapter.